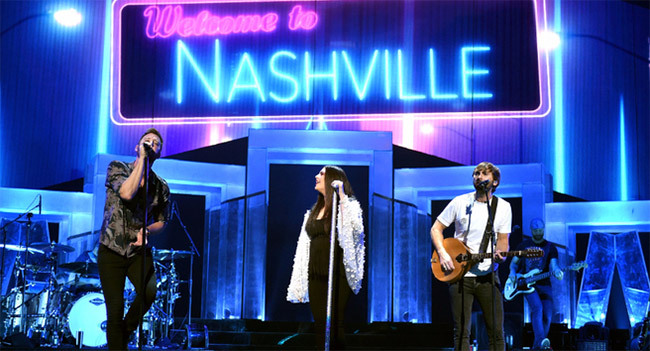 Current two-time CMA nominee Lady Antebellum closed out the North American leg of their You Look Good World Tour last night (Sat, Feb 9th) in front of a packed hometown crowd at Nashville’s Bridgestone Arena. Kicking off with two of country’s hottest rising stars Kelsea Ballerini and Brett Young, Music City was on their feet for more than four hours of jam-packed music including Lady A’s biggest chart-topping hits and new favorites off their CMA “Album of the Year” nominated No. One album, Heart Break (Capitol Records Nashville). As one of Entertainment Weekly and Rolling Stone’s “must-see summer tour” comes to an end in North America, Lady Antebellum will prove they’re “back, with all the hit” (Chicago Tribune) overseas in October. We were on hand for the tour’s opener in Bakersfield, CA in May. Things went relatively smooth and each act was polished for an opening tour stop. Heart Break follows more than 18 million units, nine No. One hits, ACM and CMA “Vocal Group of the Year” trophies three years in a row, and countless other honors including Billboard Music Awards, People’s Choice Awards and Teen Choice Awards.